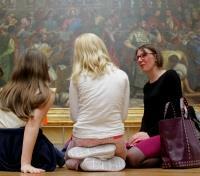 Learn the secrets behind the Louvre’s artworks with a private guide. 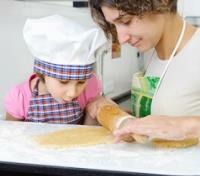 Make (and eat) delicious sweets and pastries with a private chef-led cooking class. 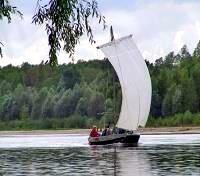 Cruise through the Loire Valley aboard a traditional wooden sailboat. 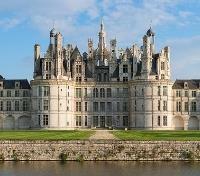 Dress in medieval costume and learn calligraphy on the grounds of a chateau. 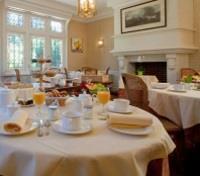 Stay at a selection of accommodations that put families first. 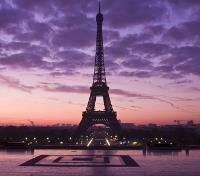 It’s hard to think about France, still the world’s all-time favorite travel destination, without first thinking about in grown-up terms: chic cafes, idyllic vineyards, moonlit strolls down the Champs-Élysées. But France is made for families, too. The sights and sounds of Paris are all the more vibrant when experienced for the first time at a young age (and more fun when re-experienced at an older one with kids or grandkids). Outside the city, history comes alive amid the rolling hills and fairytale castles of the majestic Loire Valley, a place where the Middle Ages never truly ended. France is a delight at any age. Take the kids with you and discover it all over again for the very first time. 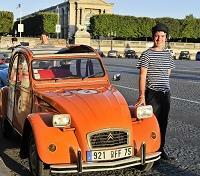 Discover Paris in a truly unforgettable manner, riding as passengers in a classic Citroën 2CV through the City of Love. You'll be met at your hotel and driven by a knowledgeable, English-speaking chauffeur in traditional clothes, who will tell you all about the landmarks of the city you see along the way. Over the course of the 2-hour ride, you'll and discover the most iconic monuments of Paris like the imposing Arc de Triomphe, the world famous Champs-Elysees, the Place de la Concorde and more. Please note, the capacity of the 2CV vehicles is 3 passengers. Additional cars will be arranged for larger families to travel in convoy. The Citadines Prestige St Germain-des-Prés Apartments are located in the heart of Paris in one of its most attractive districts, with streets dotted by bookshops, cafes, bars and shops. The apart-hotel residence sits on the banks of the Seine River, opposite the Pont-Neuf, and is just a short stroll from the tree-lined Boulevard Saint-Michel, and the renowned Notre Dame Catherdral. Citadines Prestige St Germain-des-Prés offers 204 fully furnished apartments across 7 floors; including 142 two-person studios and 62 one-bedroom apartments for four guests. Each apartment features a fully-equipped kitchen with modern appliances, and a communal breakfast room is available for guest use. Citadines Prestige Saint-Germain-des-Prés offers the comforts of home with the conveniences of a hotel. Meet your private driver for a transfer to the the largest palace in Europe, Paris' famous Louvre Museum, where you'll meet up with a private guide for a special treasure hunt tour for the whole family. Your priority access tickets will get you in quickly, with your tour taking you to all the most famous artworks of the Louvre’s collection, including the 3 women of the museum: the Mona Lisa, the Venus de Milo and the Winged Victory (Nike) of Samothrace. The treasure hunt will also let you and your family discover masterpieces of the Middle Ages, the Italian Renaissance and objects even dating as far back as Ancient Egypt. The sight of a real Egyptian sphinx is always a treat for children! With clues, puzzles and riddles, your children will have a great time hunting the hidden treasure and navigating through the museum. Learn a lot, and have fun while doing so, before connecting with your driver for your return transfer. 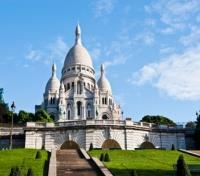 Meet your private guide and depart on foot for a 2-hour walking tour of the hilltop district of Montmartre. With its narrow cobblestone streets, small shops, its artistic ambiance and its vineyard, Montmartre is more than just a neighborhood in Paris. It is one of the most charming areas of the French capital, and taking a walk there feels just like walking in a small quaint French village. Home to the iconic white Sacré Coeur Basilica, cabarets, vineyards and mills, it's largely self-sufficient. Discover the artistic side of Montmartre, both past and present. Many would famous artists such as Picasso, Renoir and Van Gogh lived here. Today, many talented artists join on the Place du Tertre, selling their sketches and paintings to those who want to bring home a piece of Montmartre’s artistic legacy. Your children will actually assist your guide in leading you through the many curiosities of the neighborhood thanks to a great orientation game. Using an easy-to-read map and an entertaining game booklet, your children will have 2 hours of pure fun and excitement. Is there anything more delicious and fun to make than French pastries? Meet your private professional chef in a cooking school kitchen just a stone's throw away from the Notre Dame Cathedral, and get ready to get your hands deliciously dirty as you learn how to make your own French pastries. Under the guidance of your chef, this fun and educational 2-hour activity will allow you to easily reproduce these recipes at home. After kneading the dough, adding fillings and toppings, you'll make your own mouth-watering hot chocolate drink to enjoy as your pastries bake. When they're done, it’s time to eat your tasty creations during a typical French snack break, while your chef tells you many exciting stories and fun facts about the art of the French cuisine. Afterward, you’ll walk out with a bag filled with your very own self-made sweet creations. For anyone with a sweet tooth, this activity is sure to satisfy your cravings. Enjoy a private train station transfer with a private vehicle and English speaking driver. Depart your hotel with a private driver and vehicle, embarking on a transfer to the town of Meung-sur-Loire, approximately an hour away, where an exciting experience awaits. You'll make your way to a beautiful 16th century chateau for a masterclass in fencing, a Renaissance activity pioneered in Italy, but later adapted and improved by the French. Here's your opportunity to experience this age-old discipline in a safe environment for all ages, with a personal fencing master. Your teacher has trained several Olympic teams, so there's no doubt you'll become privy to many of the secrets you need to excel at this sport, considered an art. 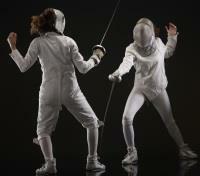 Recalling the spirit of D’Artagnan and Zorro, don your helmets, and step up for a friendly duel. All of the equipment is provided for you, so there's no preparation needed. See who has what it takes! Work up a bit of a gratifying sweat before returning to Amboise. 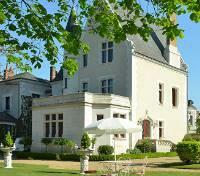 A manor-turned-boutique hotel, the Manoir Saint-Thomas is located right at the heart of the Loire chateaux country. Behind its magnificent renaissance façade is a charming hotel full of delightful details where every room speaks of the history of Amboise: the fireplaces, grand staircase, dressed stone turret, painted ceiling beams, and paneling - the charm of the past at one with the contemporary world. Offering ten uniquely styled guestrooms, intimacy and authenticity reign supreme. Located within walking distance of the old town center of Amboise, the Chateau Royal and the Chateau du Clos Lucé, you're well situated for a discovery of the Loire Valley, as you experience the art of living at Manoir Saint-Thomas. The fairy tale-like Chateau de Chambord is truly one of the most impressive highlights of the Loire Valley, and is an absolute must-see when visiting the region. Departing your hotel with a private driver and vehicle, an hour-long drive will bring you to the colossal 16th century Chambord, featuring 440 rooms, 282 fireplaces, and 84 staircases - originally used as a hunting lodge! Upon arrival you'll meet your private guide, and your children will be given game booklets. This tour will not only enable you to enjoy the beauty of its architecture and history, it is also a unique way to keep your children engaged and entertained while they learn about Renaissance art. Learn about King François I, who ordered the creation of the castle, and discover the famous double helix staircase (designed by Leonardo Da Vinci), the grand fireplaces, the beautiful terraces and much more. You’ll even hear how the Mona Lisa ended up hidden here during World War II! 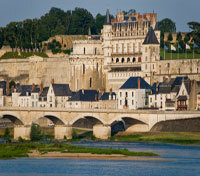 Conclude your tour with a return transfer to Amboise. Meet your private driver for a transfer to a boat launch along the Loire where you'll meet your private Captain to embark on a cruise through the Loire River Valley, discovering the last truly wild river in France aboard a basic, yet charming, traditional wooden boat. This is the perfect way to take a wistful break in the area and to let yourself be carried along at the gentle pace of the river’s ebb and flow. While your children watch the beautiful countryside and enjoy the ride, you will do the same with a glass of local wine as you leisurely sail back toward Amboise.